Tyler Clement Bruschino, 32, 191 Hunters Lane, Newington, was charged on March 20 with second-degree criminal mischief, disorderly conduct and third-degree assault-elderly victim. Jeremy R. Vitelli, 39, 334 Brightwood Ave., Torrington, was charged on March 20 with sixth-degree larceny. Jeremy R. Vitelli, 39, 334 Brightwood Ave., Torrington, was charged on March 17 with first-degree criminal trespass, sixth-degree larceny and illegal possession of shoplifting device. Ismael Garcia, 29, 488 East St., New Britain, was charged on March 24 with evading responsibility, illegal operation of motor vehicle under the influence of alcohol/drugs, failure to drive in proper lane and operating motor vehicle without a license. Wilfredo Alricea-Hernandez, 36, 24 Peck St., Apt. 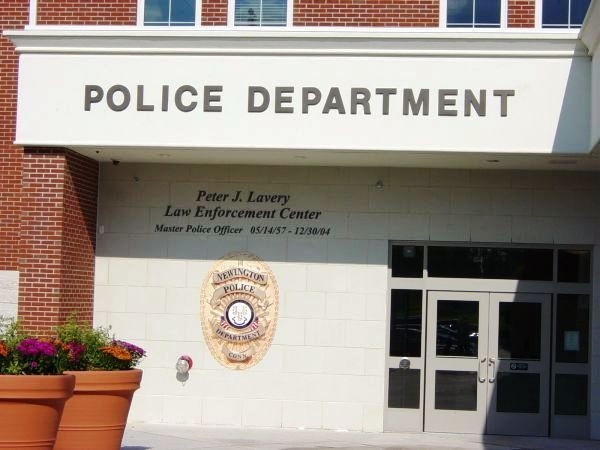 B3, New Britain, was charged on March 23 with traveling unreasonably fast, illegal operation of motor vehicle under the influence of drugs and alcohol, traffic control signals and operating motor vehicle without a license. William Savage, 50, 21 Butler St., Torrington, was charged on March 26 with violation of home improvement contract requirements. Ladell McGee, 46, 11 Linwood St., Bristol, was charged on March 26 with disorderly conduct, two counts of criminal possession of a firearm/ammunition/defense weapon, violation of protective order, first degree threatening and second-degree threatening. Angel Rivera, 34, 35 Cowles St., Hartford, was charged on March 21 with fifth-degree larceny, credit card theft, charging on a revoked credit card and second-degree failure to appear. Posted in Newington Town Crier, Newington News on Thursday, 28 March 2019 08:02. Updated: Thursday, 28 March 2019 08:04.